Girl Scout Daisy Troop 4223 collected and redeemed recyclables throughout the school year, then donated the $150 earned to Girl Scout’s Family Partnership Campaign. Their efforts and funding paid for 10 girls’ membership fees through their troop donation to the Family Partnership Campaign. In addition to providing an opportunity to discuss using resources wisely and helping the planet by recycling, this effort tied-in nicely with their first grade lessons about the value of money. Troop 4223 will continue this recycling project annually. To expand the program, the troop plans to collect recyclables at large school functions. The girls will post signs at special collection bins throughout each venue. They will also encourage the community to give their recycling to the troop, so they can recycle those goods and earn more money for the end of year donation. Financial assistance through the Family Partnership Campaign guarantees that no girl is ever denied the Girl Scout Leadership Experience because of the inability to pay. 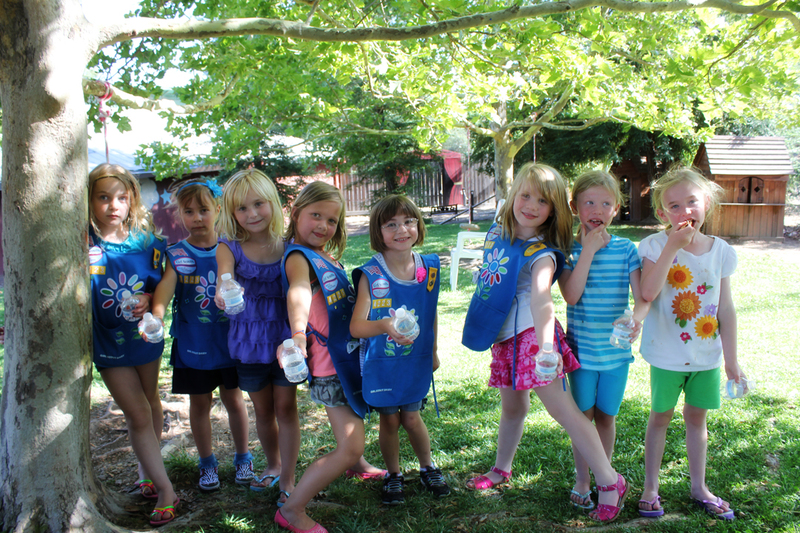 By offering financial assistance, more girls become Girl Scouts which gives them the opportunity to develop leadership skills, discover personal interests, and make life-long friendships. For more information or to make a donation, please visit the GSHCC website.